I implemented an area light in addition to the standard point light. 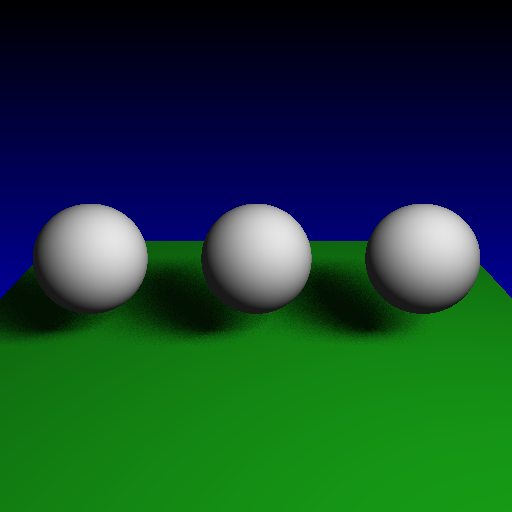 This light is defined with 3 vertices as explained in my Raytracing manual. 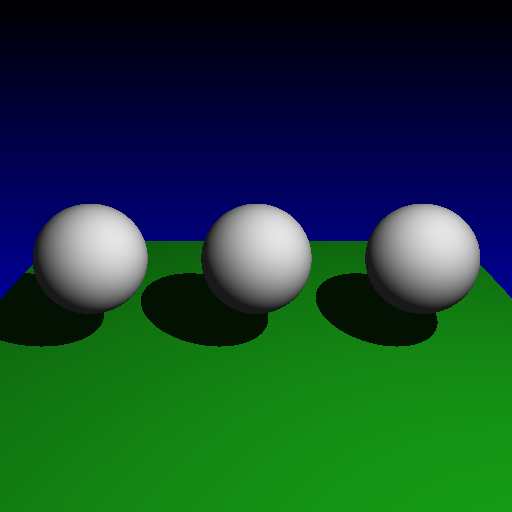 The result is a soft shadow with variable shadow intensity rather than the strict boolean "are you in shadow or not" method used by Point lights. Area light with 10x10 shadow ray grid (100 shadow rays)... ooh pretty eh?! !